Peonies are a timeless favourites year after year and our expert florists have designed this spectacular hand tied arrangement with the very first crop of Spring peonies. 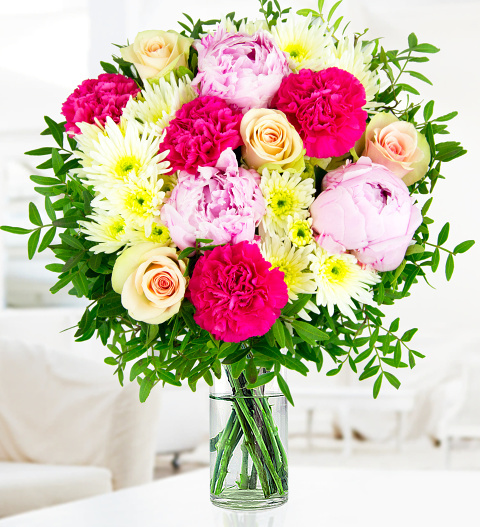 The arrangement is accented with soft La Belle roses, cerise carnations and chrysanthemum blossoms. A truly beautiful bouquet designed to make any lucky recipient smile. Chocolates may contain nuts.